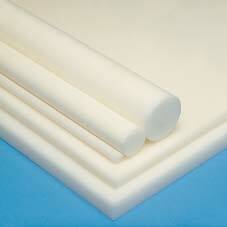 Acetal Co-polymer is a rigid plastic with high impact strength and good dimensional stability. It has low moisture absorption, good chemical resistance and is a good electrical insulator. Acetal has high mechanical strength, is easy to weld and may be machined for close toleranced parts. Applications include; electrical parts, rollers, gears, bushes, bearings and valve parts.